4600501 MF 410 MASSEY FERGUSON MF 410 wheel tractor. Spare Parts Catalog. 4600502 MF 415 MASSEY FERGUSON MF 415 wheel tractor. Spare Parts Catalog. 4600503 MF 420 MASSEY FERGUSON MF 420 wheel tractor. Spare Parts Catalog. 4600504 MF 425 MASSEY FERGUSON MF 425 wheel tractor. Spare Parts Catalog. 4600505 MF 425 Xtra MASSEY FERGUSON MF 425 Xtra wheel tractor. Spare Parts Catalog. 4600506 MF 430 MASSEY FERGUSON MF 430 wheel tractor. Spare Parts Catalog. 4600507 MF 431 MASSEY FERGUSON MF 431 wheel tractor. Spare Parts Catalog. 4600508 MF 435 MASSEY FERGUSON MF 435 wheel tractor. Spare Parts Catalog. 4600509 MF 435 Xtra MASSEY FERGUSON MF 435 Xtra wheel tractor. Spare Parts Catalog. 4600510 MF 435 X MASSEY FERGUSON MF 435 X wheel tractor. Spare Parts Catalog. 4600511 MF 435 C Xtra MASSEY FERGUSON MF 435 C Xtra wheel tractor. Spare Parts Catalog. 4600512 MF 440 MASSEY FERGUSON MF 440 wheel tractor. Spare Parts Catalog. 4600513 MF 440 Xtra MASSEY FERGUSON MF 440 Xtra wheel tractor. Spare Parts Catalog. 4600514 MF 440 X MASSEY FERGUSON MF 440 X wheel tractor. Spare Parts Catalog. 4600515 MF 444 MASSEY FERGUSON MF 444 wheel tractor. Spare Parts Catalog. 4600516 MF 445 MASSEY FERGUSON MF 445 wheel tractor. Spare Parts Catalog. 4600517 MF 445 Xtra MASSEY FERGUSON MF 445 Xtra wheel tractor. Spare Parts Catalog. 4600518 MF 450 MASSEY FERGUSON MF 450 wheel tractor. Spare Parts Catalog. 4600519 MF 451 Tier 1 MASSEY FERGUSON MF 451 Tier 1 wheel tractor. Spare Parts Catalog. 4600520 MF 451 Tier 2 MASSEY FERGUSON MF 451 Tier 2 wheel tractor. Spare Parts Catalog. 4600521 MF 451 MASSEY FERGUSON MF 451 wheel tractor. Spare Parts Catalog. 4600522 MF 455 Xtra MASSEY FERGUSON MF 455 Xtra wheel tractor. Spare Parts Catalog. 4600523 MF 455 MASSEY FERGUSON MF 455 wheel tractor. Spare Parts Catalog. 4600524 MF 460 MASSEY FERGUSON MF 460 wheel tractor. Spare Parts Catalog. 4600525 MF 460 Xtra MASSEY FERGUSON MF 460 Xtra wheel tractor. Spare Parts Catalog. 4600526 MF 461 MASSEY FERGUSON MF 461 wheel tractor. Spare Parts Catalog. 4600527 MF 465 MASSEY FERGUSON MF 465 wheel tractor. Spare Parts Catalog. 4600528 MF 470 Xtra MASSEY FERGUSON MF 470 Xtra wheel tractor. Spare Parts Catalog. 4600529 MF 470 MASSEY FERGUSON MF 470 wheel tractor. Spare Parts Catalog. 4600530 MF 471 MASSEY FERGUSON MF 471 wheel tractor. Spare Parts Catalog. 4600531 MF 471 Xtra MASSEY FERGUSON MF 471 Xtra wheel tractor. Spare Parts Catalog. 4600532 MF 475 MASSEY FERGUSON MF 475 wheel tractor. Spare Parts Catalog. 4600533 MF 480 Xtra MASSEY FERGUSON MF 480 Xtra wheel tractor. Spare Parts Catalog. 4600534 MF 481 Tier 1 MASSEY FERGUSON MF 481 Tier 1 wheel tractor. Spare Parts Catalog. 4600535 MF 481 Tier 2 MASSEY FERGUSON MF 481 Tier 2 wheel tractor. Spare Parts Catalog. 4600536 MF 481 MASSEY FERGUSON MF 481 wheel tractor. Spare Parts Catalog. 4600537 MF 483 MASSEY FERGUSON MF 483 wheel tractor. Spare Parts Catalog. 4600538 MF 490 MASSEY FERGUSON MF 490 wheel tractor. Spare Parts Catalog. 4600539 MF 491 Tier 1 MASSEY FERGUSON MF 491 Tier 1 wheel tractor. Spare Parts Catalog. 4600540 MF 491 MASSEY FERGUSON MF 491 wheel tractor. Spare Parts Catalog. 4600541 MF 491 Tier 2 MASSEY FERGUSON MF 491 Tier 2 wheel tractor. Spare Parts Catalog. 4600542 MF 492 Tier 1 MASSEY FERGUSON MF 492 Tier 1 wheel tractor. Spare Parts Catalog. 4600543 MF 492 MASSEY FERGUSON MF 492 wheel tractor. Spare Parts Catalog. 4600544 MF 492 Tier 2 MASSEY FERGUSON MF 492 Tier 2 wheel tractor. Spare Parts Catalog. 4600545 MF 533 MASSEY FERGUSON MF 533 wheel tractor. Spare Parts Catalog. 4600546 MF 543 MASSEY FERGUSON MF 543 wheel tractor. Spare Parts Catalog. 4600547 MF 550 MASSEY FERGUSON MF 550 wheel tractor. Spare Parts Catalog. 4600548 MF 555 MASSEY FERGUSON MF 555 wheel tractor. Spare Parts Catalog. 4600549 MF 560 MASSEY FERGUSON MF 560 wheel tractor. Spare Parts Catalog. 4600550 MF 563 MASSEY FERGUSON MF 563 wheel tractor. Spare Parts Catalog. 4600551 MF 565 MASSEY FERGUSON MF 565 wheel tractor. Spare Parts Catalog. 4600552 MF 573 MASSEY FERGUSON MF 573 wheel tractor. Spare Parts Catalog. 4600553 MF 575 MASSEY FERGUSON MF 575 wheel tractor. Spare Parts Catalog. 4600554 MF 583 MASSEY FERGUSON MF 583 wheel tractor. Spare Parts Catalog. 4600555 MF 590 MASSEY FERGUSON MF 590 wheel tractor. Spare Parts Catalog. 4600556 MF 591 MASSEY FERGUSON MF 591 wheel tractor. Spare Parts Catalog. 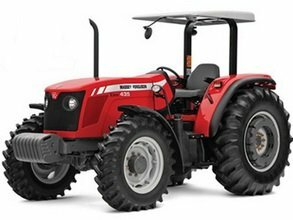 4600557 MF 592 MASSEY FERGUSON MF 592 wheel tractor. Spare Parts Catalog. 4600558 MF 593 MASSEY FERGUSON MF 593 wheel tractor. Spare Parts Catalog. 4600559 MF 595 MASSEY FERGUSON MF 595 wheel tractor. Spare Parts Catalog. 4600560 MF 596 MASSEY FERGUSON MF 596 wheel tractor. Spare Parts Catalog. 4600561 MF 600 MASSEY FERGUSON MF 600 wheel tractor. Spare Parts Catalog. 4600562 MF 610 MASSEY FERGUSON MF 610 wheel tractor. Spare Parts Catalog. 4600563 MF 620 MASSEY FERGUSON MF 620 wheel tractor. Spare Parts Catalog. 4600564 MF 630 MASSEY FERGUSON MF 630 wheel tractor. Spare Parts Catalog. 4600565 MF 640 MASSEY FERGUSON MF 640 wheel tractor. Spare Parts Catalog. 4600566 MF 650 MASSEY FERGUSON MF 650 wheel tractor. Spare Parts Catalog. 4600567 MF 660 MASSEY FERGUSON MF 660 wheel tractor. Spare Parts Catalog. 4600568 MF 670 MASSEY FERGUSON MF 670 wheel tractor. Spare Parts Catalog. 4600569 MF 675 MASSEY FERGUSON MF 675 wheel tractor. Spare Parts Catalog. 4600570 MF 680 MASSEY FERGUSON MF 680 wheel tractor. Spare Parts Catalog. 4600571 MF 690 MASSEY FERGUSON MF 690 wheel tractor. Spare Parts Catalog. 4600572 MF 698 MASSEY FERGUSON MF 698 wheel tractor. Spare Parts Catalog. 4600573 MF 699 MASSEY FERGUSON MF 699 wheel tractor. Spare Parts Catalog. 4600574 MF 800 MASSEY FERGUSON MF 800 wheel tractor. Spare Parts Catalog. 4600575 MF 804 MASSEY FERGUSON MF 804 wheel tractor. Spare Parts Catalog. 4600576 MF 900 MASSEY FERGUSON MF 900 wheel tractor. Spare Parts Catalog. 4600577 MF 904 MASSEY FERGUSON MF 904 wheel tractor. Spare Parts Catalog.